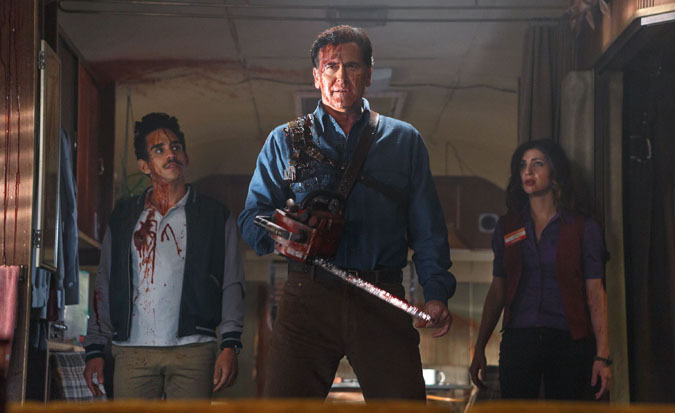 Experience all three chainsaw-wielding seasons of the hilarious, critically acclaimed, most-watched comedy on Starz when the Ash vs Evil Dead: The Complete Collection arrives on Blu-ray (plus Digital) and DVD October 16 from Lionsgate. 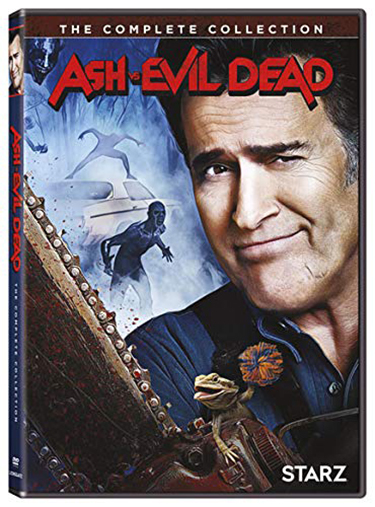 Legendary horror icon Bruce Campbell stars in this series that follows up Sam Raimi’s cult-classic horror film The Evil Dead. 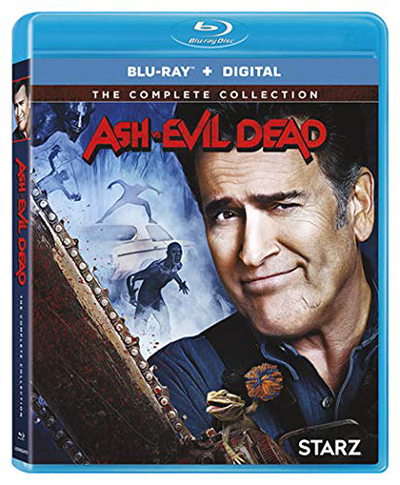 The Ash vs Evil Dead: The Complete Collection 6-disc Blu-ray and DVD includes hours of bonus content and will be available just in time for some Halloween binge’ing on October 16th. So, grab your boomsticks, rev up your chainsaws and recite those sacred words within the Necronomicon and relive this deadite splatterfest adventure again!